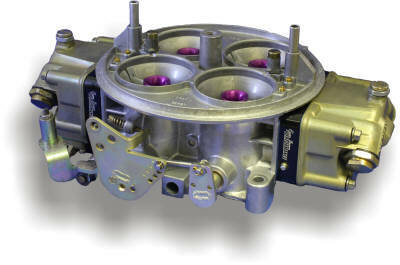 The 4500 Dominator Carburetor is a great choice for many high powered engine combinations We have a calibration for this carburetor whether your ride lives on the street or the strip. We built an 1150 based carburetor for the guys at Muscle Motors for their Drag Week bound 517 cubic inch, 750HP Pontiac engine in Richard Guido's awesome GTO. This car was driven 5500 miles round trip, knocking out a 10.60 average ET, and got over 13 MPG, which left everyone thrilled! 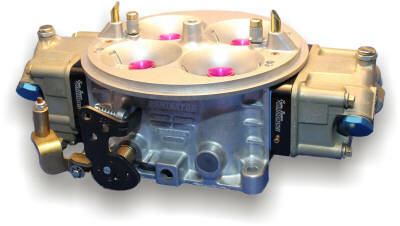 Prices on these carburetors start at $1250 and up based on options and levels of modification. Depending on the quality of your core, we are happy to modify yours providing it passes inspection.